High quality stainless steel body and chest piece. 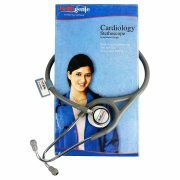 Cone-shaped chest piece- cardiology type stethoscope. Double diaphragm with non-chill ring. High acoustic sensitivity. Soft but intact ear tips. Heavy duty tubing. Available in black and grey colours. 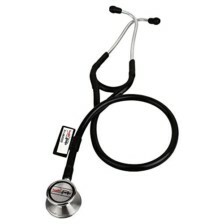 1 year warranty from Healthgenie. 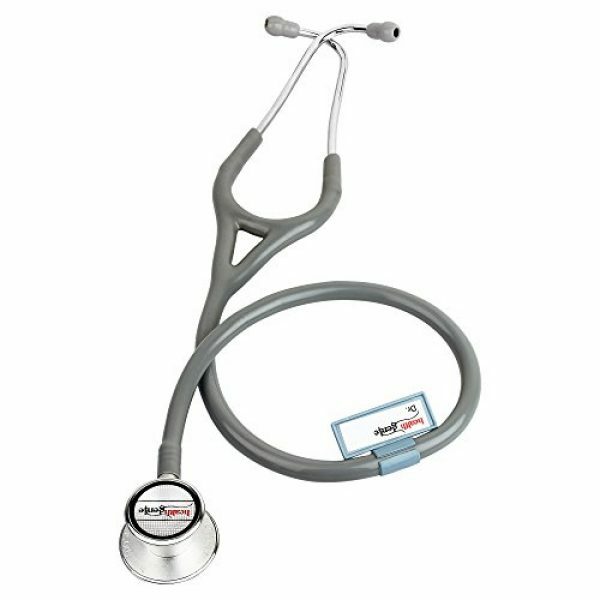 Healthgenie Cardiology SS double diaphragm is designed ergonomically to ensure comfort and ease for both the doctor and the patient. 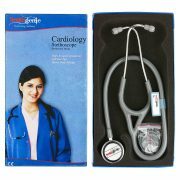 It is specially designed for cardiology and pulmonary related examination. 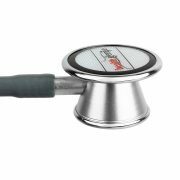 The conical shaped chest piece is made from high quality stainless steel along with the stethoscope’s body. 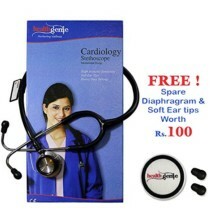 It delivers accurate auscultation of heart, lung, chest, etc. The double diaphragm aids in accentuating the sounds. With its high acoustic integrity and clarity, it provides you with uninterrupted monitoring. Thus, it gives a flawless performance. 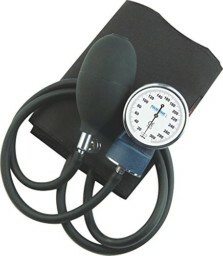 The heavy duty PVC tubing ensures durability. The soft ear tips enable you to use the stethoscope for a prolonged period. It is intact and does not fall off during use and prevents any sort of ear damage due to high frequency sounds. It’s functions are: increasing the amplitude of vibrations of the organs; thereby increasing the clarity, reducing sound transmission loss of energy during check-up, etc. 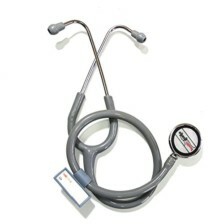 WARRANTY: Healthgenie offers a 1 year warranty. For activation of your warranty period you need to login to Healthgenie’s site and register yourself. The product is very nice. 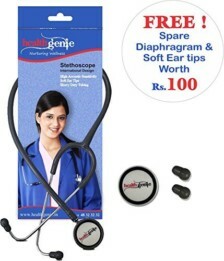 We can use this product in any clinical examination that requires stethoscope. Amazing product.